COPY-CAT table lamps at Stardust. 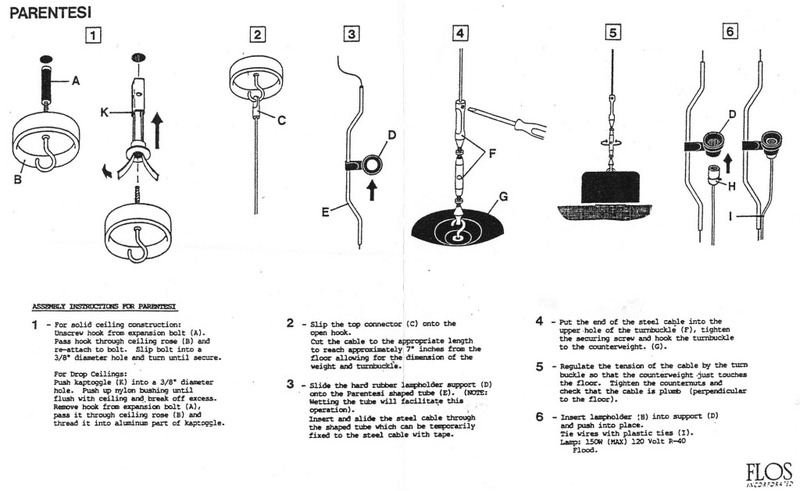 All the details, photographs and technical information for the Flos designer lamp model F19520 Copycat. 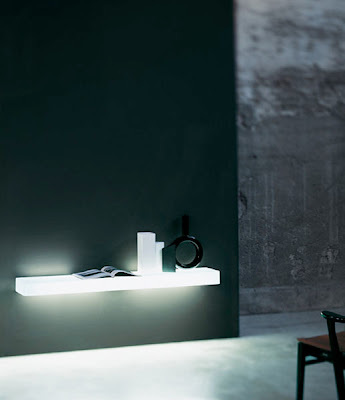 Find out more details on the official Flos Copycat Table Lamps at Stardust. 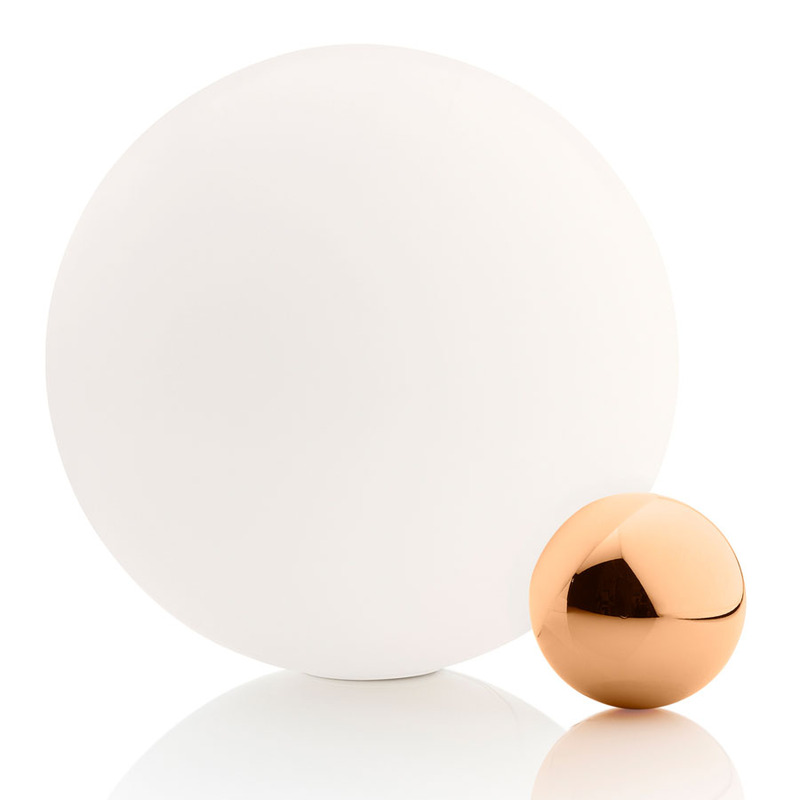 The Flos Copycat Crystal Glass Table Lamp from Flos combines two fused spheres and comes in four finishes. 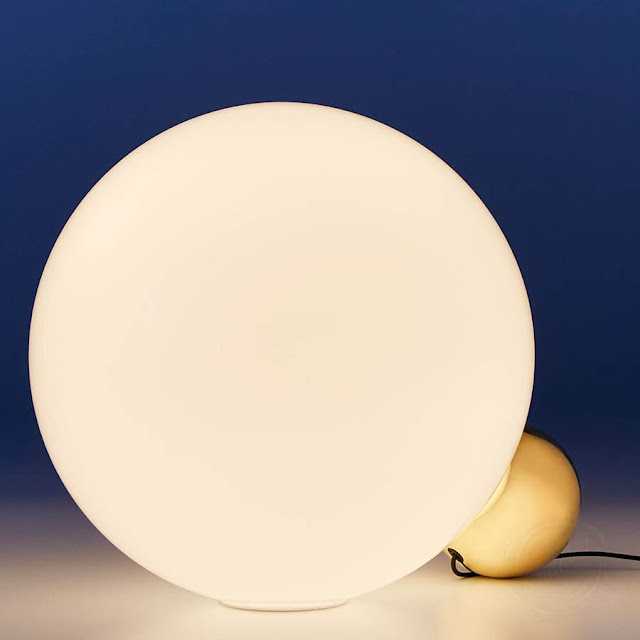 Micheal Anastassiades introduces its new lamp for Flos - the Copycat lights. Two spheres just touch each other. One small, in a precious material, placed under the ‘shadow’ of the large one, in illuminated glass. 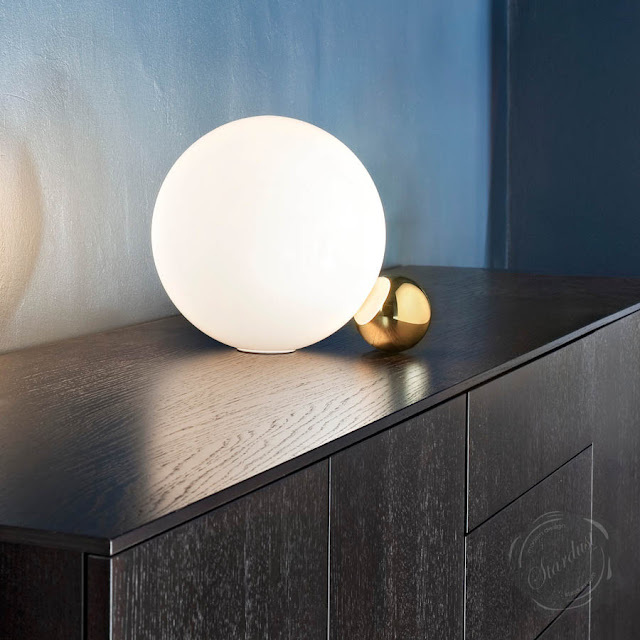 Table lamp providing diffused light, Copycat is made of two touching spheres that hold up each other in a delicate and poetic balance. 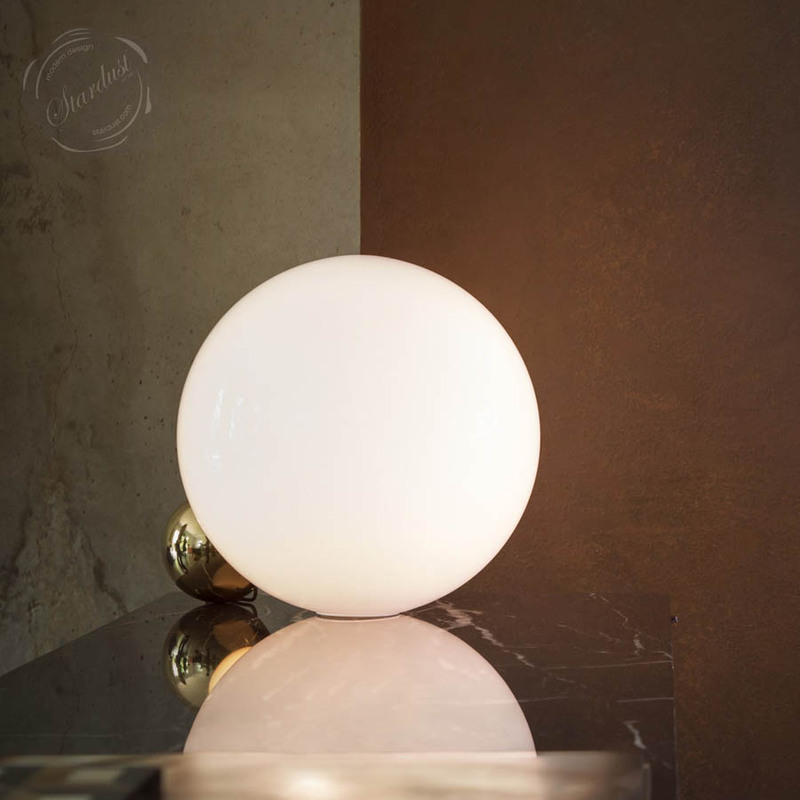 The smaller sphere, available in several finishes, hides an LED source that radiates the lighting beam inside the glass sphere, thus delivering a smooth and uniform light. Dimensions: Ø 30cm. Materials: Aluminium, blown glass. Finishes: electroplating 24 karat gold, polished aluminum, black nickel, copper. Light source: 1 COB LED – 2700k – 1380lm total – CRI 80 – 16W. Michael Anastassiades launched his studio in 1994 to explore contemporary notions of culture and aesthetics though product, furniture and environmental design. Positioned between fine art and design, his work aims to provoke dialogue, participation and interaction. He creates objects that are minimal, utilitarian and almost mundane yet full of a vitality one might not expect. Anastassiades' work is featured in permanent collection at the Museum of Modern Art, New York, the V&A Museum and Crafts Council, London and MAK, Vienna. Recent solo exhibitions include Time and Again at the Geymüllerchlössel/MAK, Vienna, To be Perfectly Frank at Svenskt Tenn, Stockholm, Norfolk House Music Room at the V&A, London and the Cyprus Presidency at the European Parliament, Brussels. 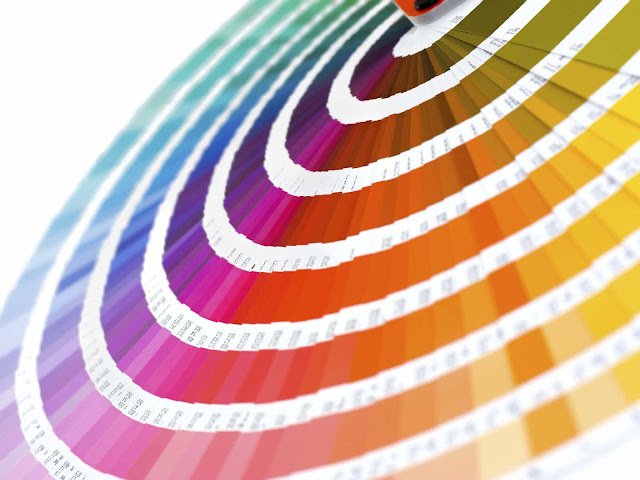 He has designed products with leading manufacturers including FLOS, Puiforcat, Svenskt Tenn and Lobmeyr. In 2007 he set up MICHAEL ANASTASSIADES the company to produce his signature pieces, a collection of lighting, furniture, jewellery and tabletop objects.